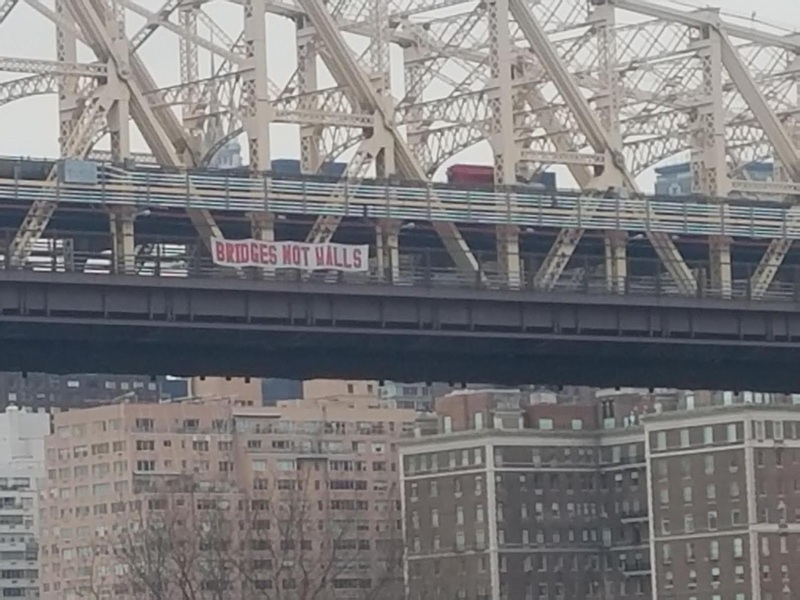 on the Queensboro Bridge over the East River next to Roosevelt Island. 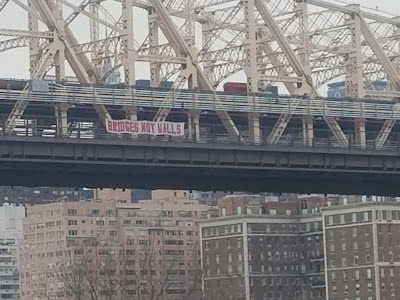 and the Twitterverse shows us the BRIDGES NOT WALLS banner too. 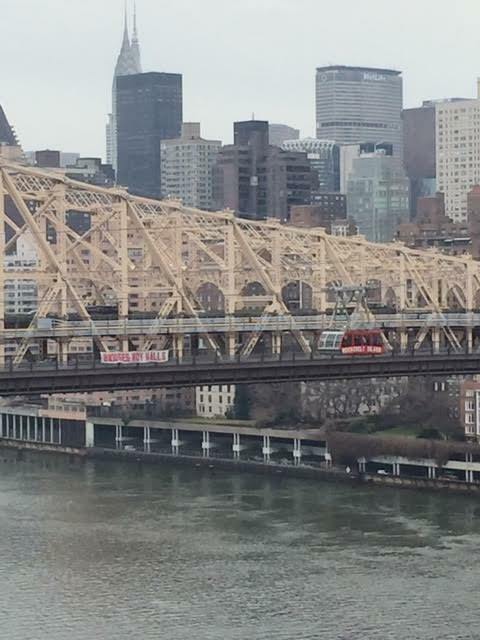 UPDATE 1:25 PM - The Roosevelt Island Tram passes by the Bridges Not Walls banner on Queensboro Bridge. Apparently, NYC is not in much of a hurry to remove the banner.